Posted: March 21st, 2009 under DX, Hamradio. On Wednesday evening I got VK9AA on 40M CW (#230 40M). He had a good signal. Listen to the soundclip below. On Thursday I worked D44TXO on 30M CW. On 40M CW I got 4K0CW (#231 40M) and D44TXS. Friday gave me HV5PUL (#242 30M) and 4J9M on 30M RTTY. 4U1UN came in the log late Friday evening on 40M RTTY (#232 40M, #182 RTTY). While listening around on 40M RTTY, D44TXF was on below 4U1UN and was easily worked. Saturday gave me 4K0CW on 20M (#269 20M) and 17M CW. A71EM was worked on 20M CW with a good signal. 4U1UN came in the log early Saturday morning on 40M CW. 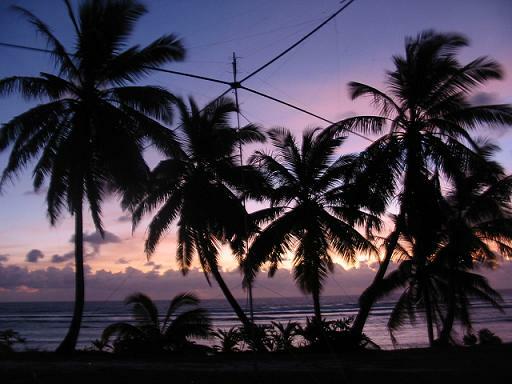 4U1UN 40M CW – 10 years since last qso, worked on 40M RTTY and CW. I updated LoTW and got a new one with 4K0CW. That brings my total to #218 on LoTW. 6Y8XF was also confirmed. Thanks Axel and Nigel. My online logsearch is also updated today.